Professor Kim Holmén is the International Director of the Norwegian Polar Institute (NPI). The NPI is celebrating its 90th anniversary in 2018. The Institute seeks fundamental understanding of the processes determining the state of the environment both in the physical and biological and their mutual interactions. 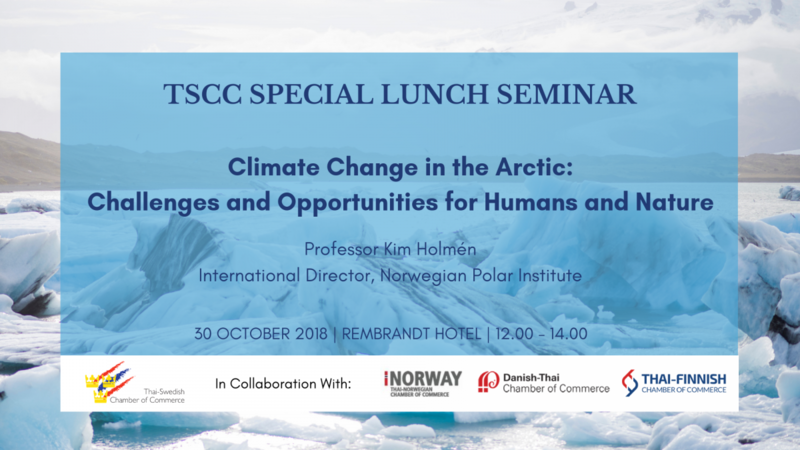 Recent developments of climate change in the Arctic and the effects of climate change on biodiversity will be discussed at this seminar. The changes have consequences for nature and humans both creating challenges but also new opportunities. Some of the dilemmas emerging in the crossroads between challenges, opportunities and increased geo-political interests will be discussed. Research interests are within the fields of human induced climate change and biogeochemical cycles. Elucidating climatic interactions with the biogeochemical cycle of carbon on different temporal and spatial scales through process studies and modelling remains a key activity. Field-work experience includes over 30 years of climate monitoring activities in Ny-Ålesund, Svalbard, as well as expeditions to Antarctica and Siberia. Recent work also addresses the role of science in policy and ethics.